Dr. Arthur Brawer is a rheumatologist and silicone toxicity expert with over two decades of experience and research on women with breast implants. He shares his thoughts on breast implants and silicone toxicity in the following emails to our website. Background: Arthur Brawer, MD, PA is an arthritis specialist whose educational career developed at Brandeis University, Boston University School of Medicine and Boston University Medical Center. 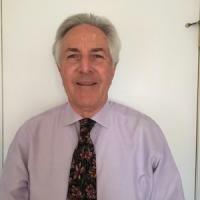 For the past thirty-eight years he has maintained a private practice in Long Branch, New Jersey, and has been the Director of Rheumatology at Monmouth Medical Center. He has held the position of Associate Clinical Professor of Medicine at both Robert Wood Johnson Medical School and Hahnemann/Drexel College of Medicine. His research topics include arthritis, alternative medicine, environmentally-related ailments and others, which have been published in multiple peer-reviewed medical journals. As an example, at least 75% of symptomatic silicone recipients have markedly dry eyes and dry mouth, and Schirmer tests are quite abnormal in these patients. However, their biopsies of salivary tissues are completely normal, because this ailment is likely due to dysfunction of the receptor for acetylcholine (which normally stimulates these glands). As another example, silicic acid (which is a breakdown product of silicone) crosses the blood brain barrier and can chelate neurotransmitters (such as dopamine) – hence, cognitive dysfunction occurs but MRI scans are normal. As a third example, silicon forms four bonds like carbon but behaves like a metal at times. You cannot expect energy production and energy utilization in mitochondria and the interior of cells to proceed normally after silicone exposure, because phosphorus is metal-ion-bound in energy systems. Hence, weakness and fatigue occur, but muscle biopsies are normal. As for joint pain and arthritis in silicone recipients, any synovial fluid analyses reveal less than 1,000 cells (non-inflammatory) – think of substance P in nerve endings, and also think of the matrix macromolecules in cartilage. (2) scientists with a PhD degree in biochemistry need to get involved in the research. One more thought that you might consider transmitting to your followers. For at least the past seven years virtually every skin product sold commercially has at least two harmful ingredients: (1) silicones, and (2) an emulsifier. An emulsifier allows one to mix together items that ordinarily would not blend with one another (such as oil and water). When placed on the skin an emulsifier temporarily changes the pH to alkaline, thereby temporarily breaking the tight bonds between skin cells and allowing anything on the skin to penetrate down to the subcutaneous fat. That is why makeup, skin softeners, creams, lotions, wrinkle removers, moisturizers, etc. are so popular and effective, because they can tightly adhere to the skin for long periods of time and provide a smooth and glistening appearance. However, as you know, fat cells (adipocytes, or lipocytes) are now the subject of intensive study because they secrete numerous cytokines that can activate a whole host of inflammatory pathways. These activated pathways do not necessarily always cause the “typical” signs of inflammation such as redness, swelling, pain, etc. When items pass through the dermis of the skin and become biointegrated in the subcutaneous fat, a “slow motion” process may result. As an example, it has been suggested by recent research that the thickening of the skin in scleroderma may not solely be the result of overactivity by fibroblasts (collagen producing cells) that reside in the dermis. There is evidence that adipocytes (lipocytes) can dedifferentiate into collagen producing cells, and that these fat cells may actually be the main driving process producing the thickened skin of scleroderma patients. Thus, it would be advisable for silicone breast implant victims to avoid these commercial dermatology products (and either use nothing, or else use “natural “ products devoid of silicones and emulsifiers). Theoretically these commercial products can perpetuate a silicone toxicity disorder that was originally initiated by breast implants. First and foremost, I have attached the final version of my mechanisms manuscript that was published four days ago (“Ringmaster”). As you will appreciate, there is a section that mentions odor and smell hypersensitivity in recipients who have become toxic from their breast implants. Invariably the silicone-induced illness is well under way before these phenomena appear. I have been observing this for 27 years, and for an equally long period of time Dr. Claudia Miller has been observing and studying TILT (toxicant induced loss of tolerance) in patient populations that do not have implants. 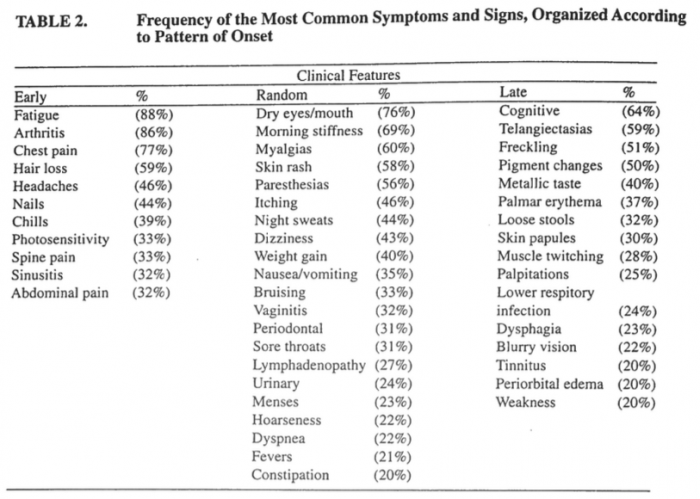 You can google TILT or you can google QEESI (the survey Dr. Miller uses to identify patients with TILT). Dr. Miller has been identifying people with vague multi-system ailments that cannot be attributed to any well-defined medical condition and who appear to be environmentally toxic. She believes that such toxicity is widespread. Whether other investigators consider these patients to have fibromyalgia or chronic fatigue syndrome or multiple chemical sensitivity (or whatever one wishes to call this), these syndromes were vague and rare 60 years ago and are now vague and common. Given all the varied environmental exposures, trying to pinpoint one specific cause is frustrating; then, of course, if one identified a culprit, what are the mechanisms by which this toxicity is mediated? As it turns out, I had an idea about this nearly 20 years ago when I published my first mechanisms manuscript (in 1998 in Medical Hypotheses) entitled “Silicon and Matrix Macromolecules…..” Since breast implants are just one of 60,000 organosiloxane (organosilicone) compounds synthesized in the past 70 years, I posed that silicone breast implant toxicity might be an extreme form of a general toxicity present in the population at large. As it turns out, both the World Health Organization and the Harvard School of Public Health are concerned about the worldwide pervasiveness of, and exposure to, innumerable organosiloxane compounds in everyday life, especially since it is now obvious that these molecules are neither chemically inert nor biologically inert. Particular attention is being paid to the volatile organosiloxanes, which pose a hazard via inhalation and or dermal absorption. Indeed, in just the past two years alone numerous chemists have published over 50 articles on this pervasiveness (but no-one has as yet figured out what the mechanisms are for producing illness). The “Ringmaster” manuscript has attracted attention for its relevance to this quandary. In the interim, Dr. Miller and I thought it might be advantageous to apply QEESI to women with breast implant toxicity. BUT – in order for a study like this to be reliable and useful, women would have to fulfill my criteria for diagnosing silicone toxicity in the first place (it cannot just be “assumed”). There is a big difference in developing TILT de-novo (without having implants) versus developing TILT after a silicone-induced illness is well underway. I would avoid the terminology “multiple chemical sensitivity.” I would also encourage your followers to abandon the idea that breast implant illness is an autoimmune problem – it never was an autoimmune problem to begin with (I am assuming you have read three other manuscripts I published, namely “Destiny Rides Again…..,” “Bones, Groans, and Silicone…..,” and my letter to the editor of Natural Medicine Journal on May 3, 2017 – all three are also attached for reference if you need them). Lastly I have attached my original articles, “Chronology” from 1996, and “Explantation” from 2000. In the “Chronology” manuscript, when the disease development curve is extended out 25 years it becomes a dose-response curve (the heart of toxicology). Arthur E. Brawer, M.D., Associate Clinical Professor of Medicine, Drexel University School of Medicine, Philadelphia. In this cohort of symptomatic breast implant recipients, disease amelioration following explantation provides additional supportive evidence for the existence of a novel illness triggered by silicone gel-filled devices. The demonstrated improvement of systemic phenomena following implant removal was more likely to occur if these devices were in place for less than 12 years. Saline implants appeared capable of perpetuating systemic disease progression following an initial gel-induced disorder. Reports of silicone migration and degradation following insertion of gel-filled breast implants, claims of a novel systemic illness appearing in many breast implant recipients, and investigations implicating varied and permeating immunotoxic mechanisms of disease causation by breast devices. The present study develops additional potential pathogenetic ideas based on alterations of cell biochemistry by silicon-containing compounds, and offers correlation of the patients’ diverse clinical features with plausable disruption of basic biological processes.